We encourage individuals and organisations to link to the L-W-O website, www.lymph-what-oedema.com or the following social media platforms. The L-W-O website is revised on a regular basis, content may be deleted or removed. L-W-O tries to ensure that all links to website pages are working. Stock library images are the ownership of the hosting company and used by L-W-O under license. Personal photographs provided and published with the permission of our members are the property of L-W-O. Our website, support groups, community page, children's support group, Twitter, Pinterest, LinkedIn contain external links to other social media platforms. These links provide useful sources of information and inclusion of such links does not imply, endorsement by L-W-O, of any kind as to their content or quality. 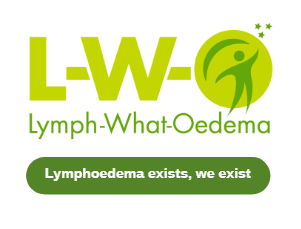 L-W-O signposts links to other lymphoedema organisations, the NHS websites and other websites that are directly or indirectly supportive of the condition of lymphoedema. L-W-O signposts to other organisations that we have a working relationship with. This does not mean that L-W-O endorses external organisations, their products or services. Neither does L-W-O guarantee the accuracy or relevance of external websites. We reserve the right to remove links to external websites that no longer meet our needs. Underlined links or links in highlighted green box indicate that they lead to another L-W-O page or an external website, or email contact. L-W-O does not guarantee the information or endorse external links to other websites.